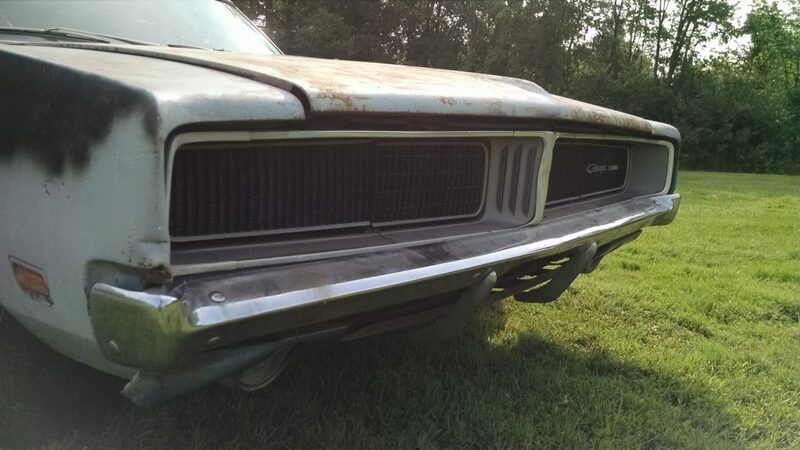 Here is your chance to get your hands on one of the most iconic cars from Americas great muscle car era. 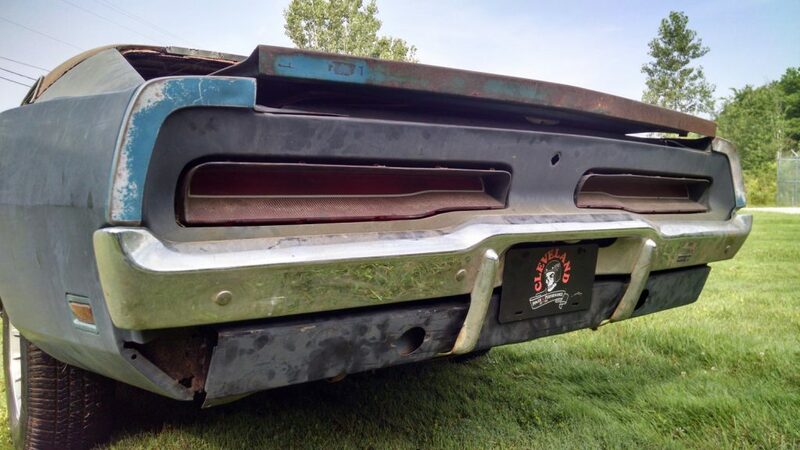 The 69 Charger’s styling cues, unique design, and big power made it the most sought after MOPAR produced during the great Americas muscle cars wars. 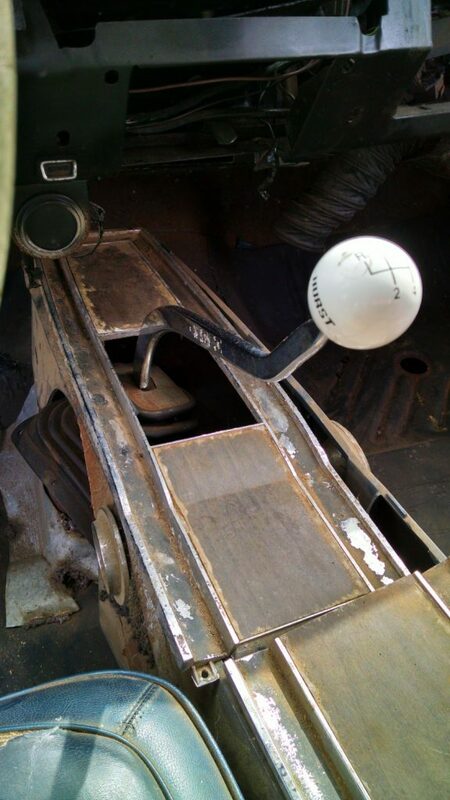 These awesome machines have become the “car to build” in the modern hotrod and resto-mod world. 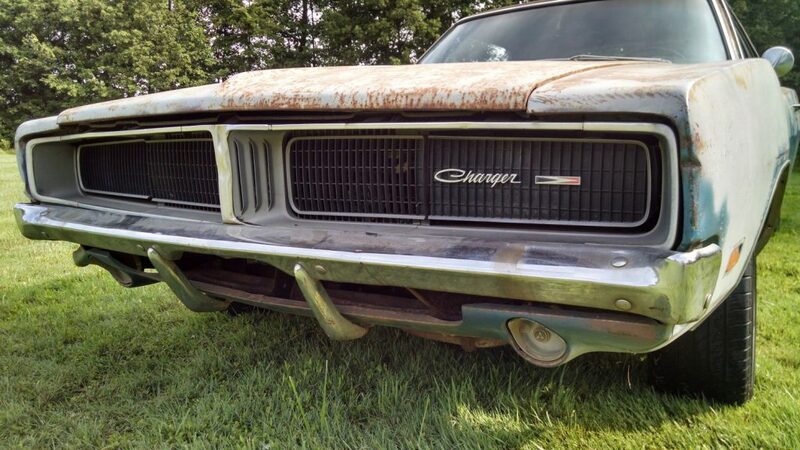 This particular Charger could be made back into a driver or would make for a great candidate for a 3rd gen swap. 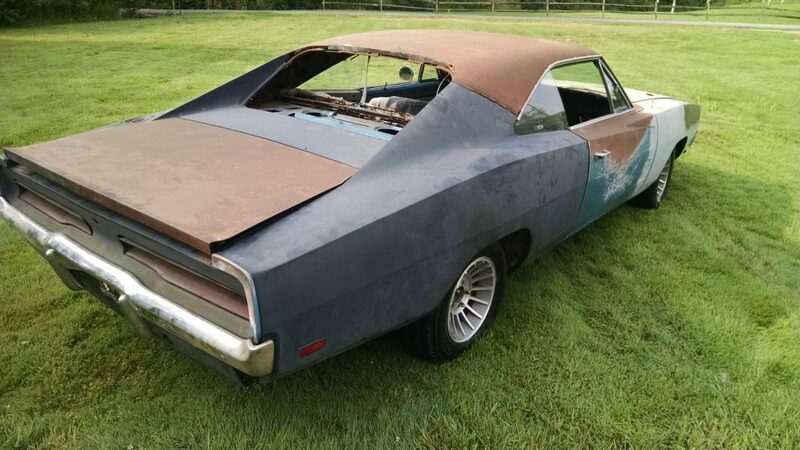 This Charger was with the original owner from 1969 up until early this year when it purchased thru an estate with the family. 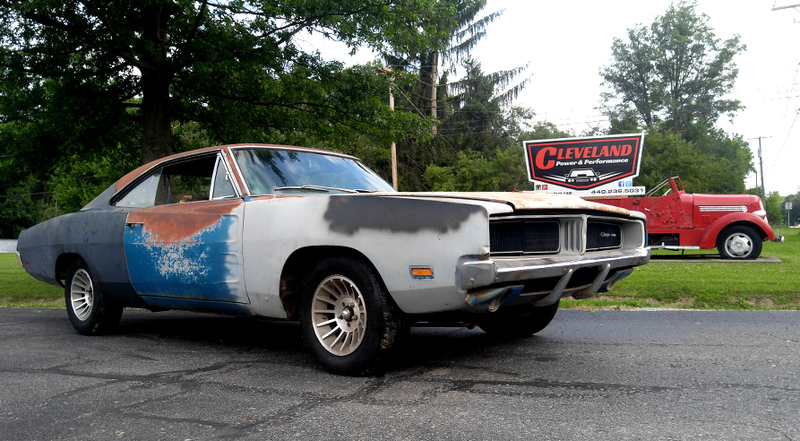 We are the third title owner on the Charger, the second title owner was just a paperwork holder. 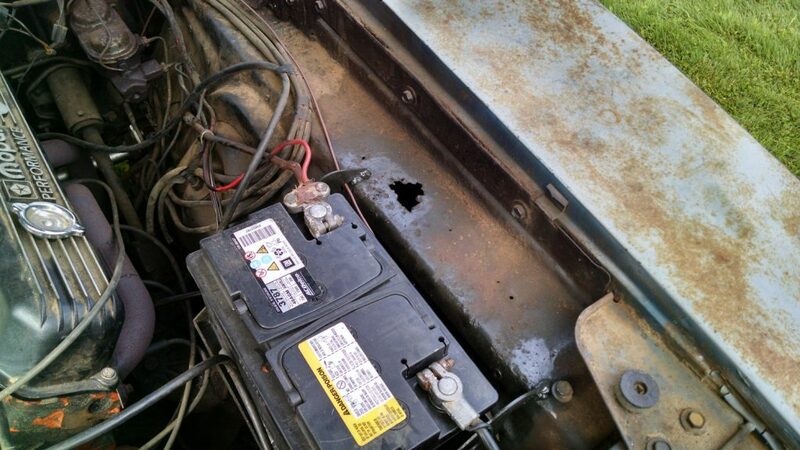 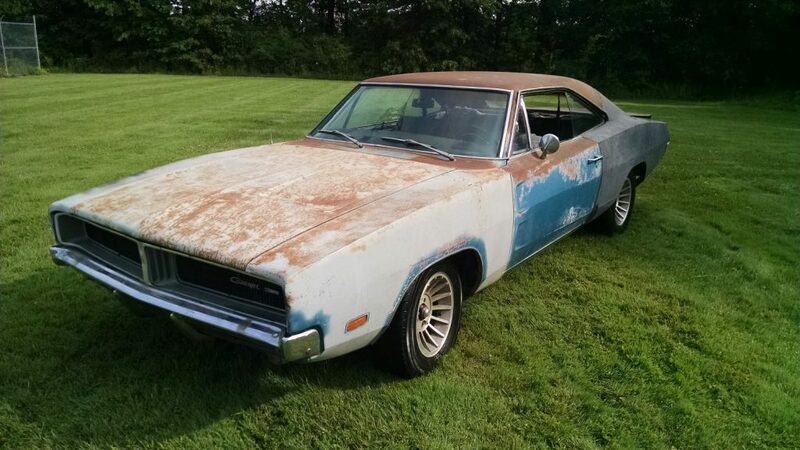 This a nice example of the a 69 Charger, however it will need repairs. 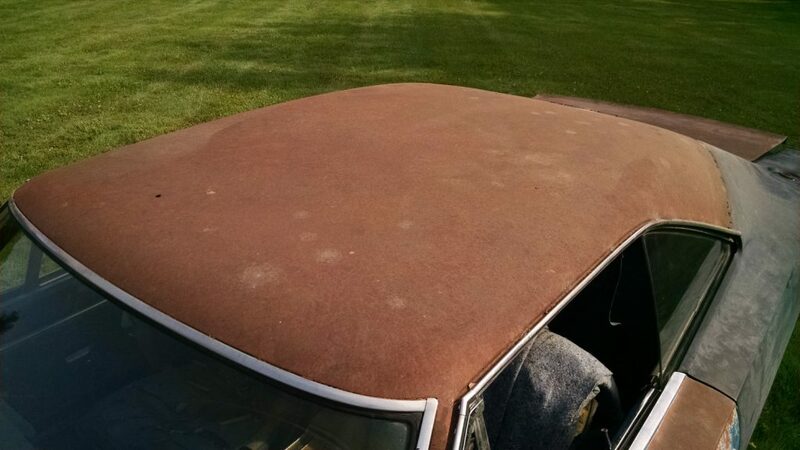 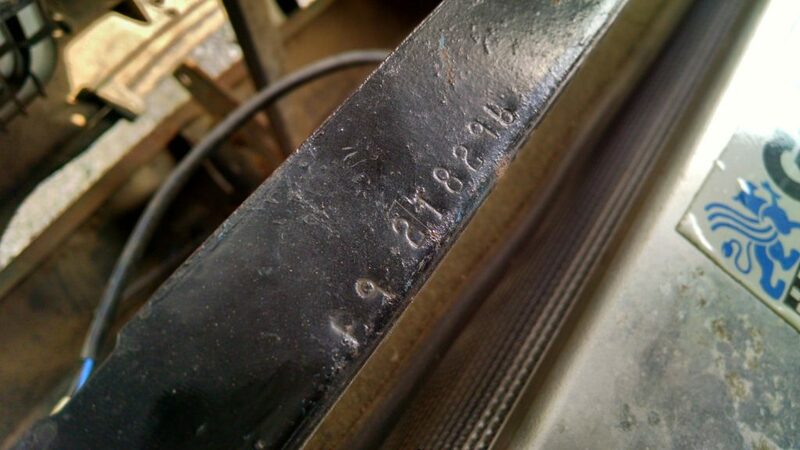 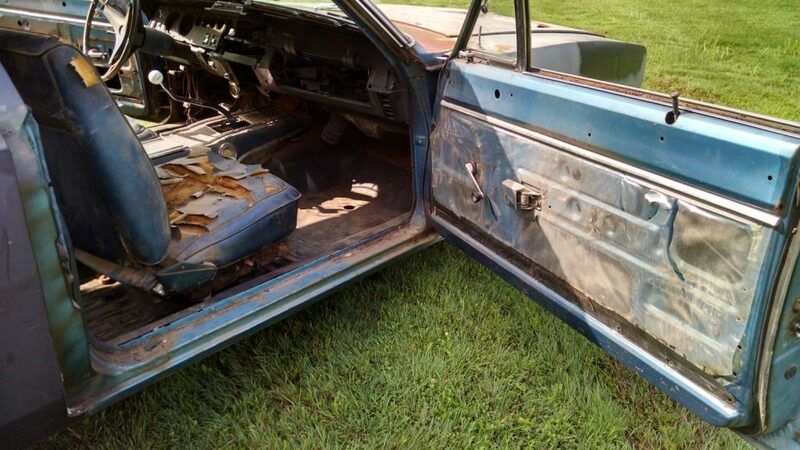 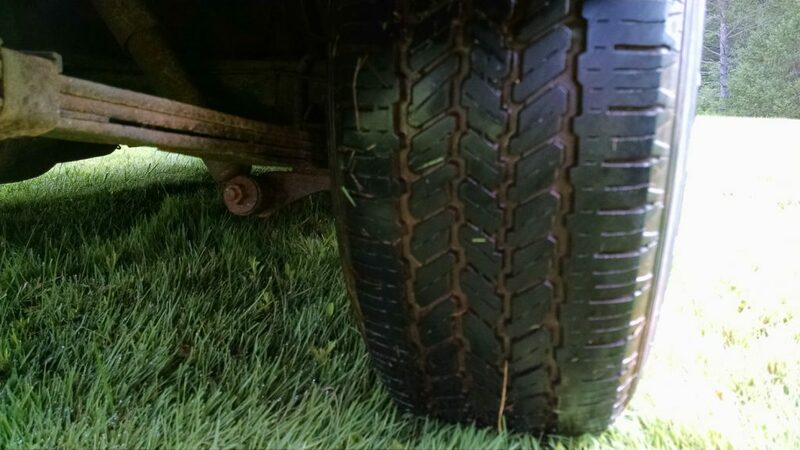 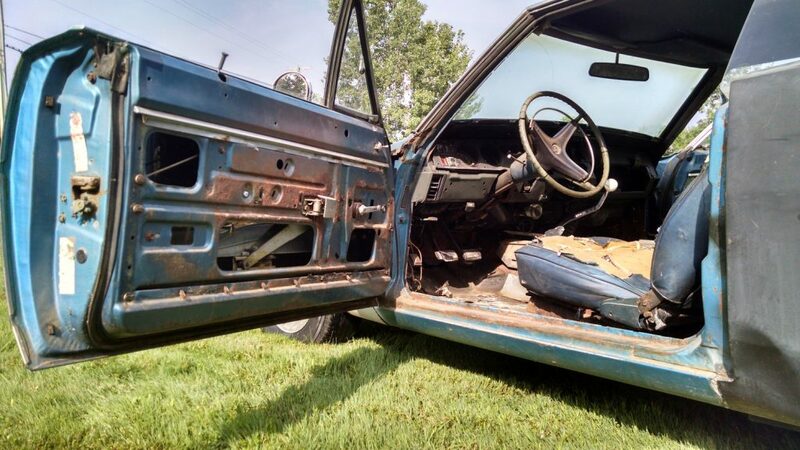 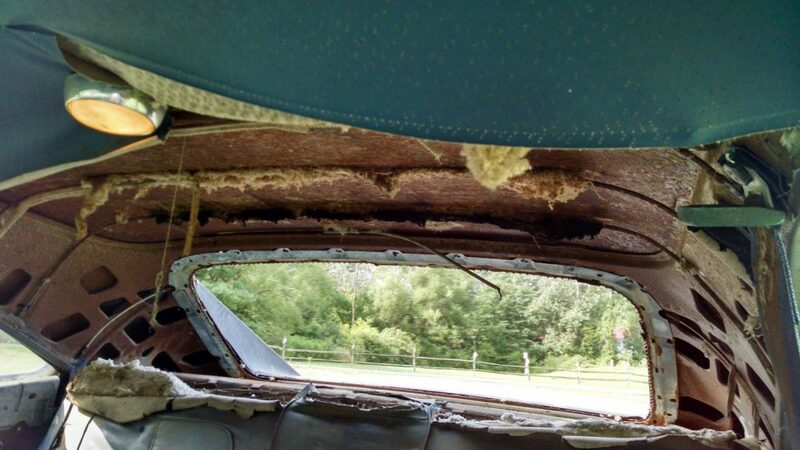 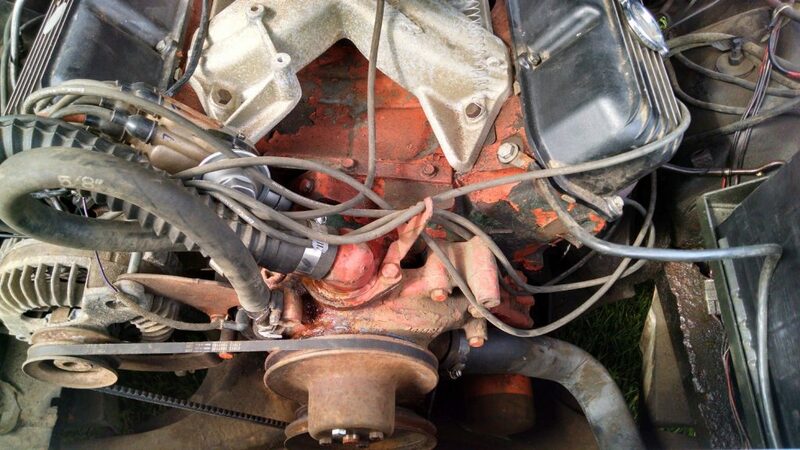 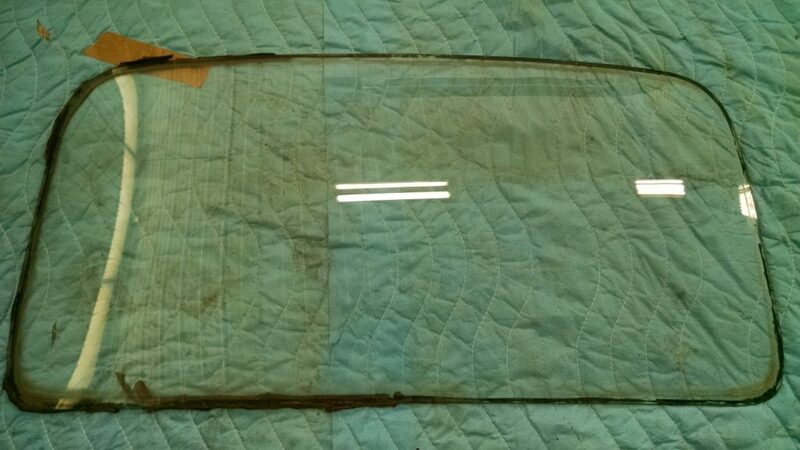 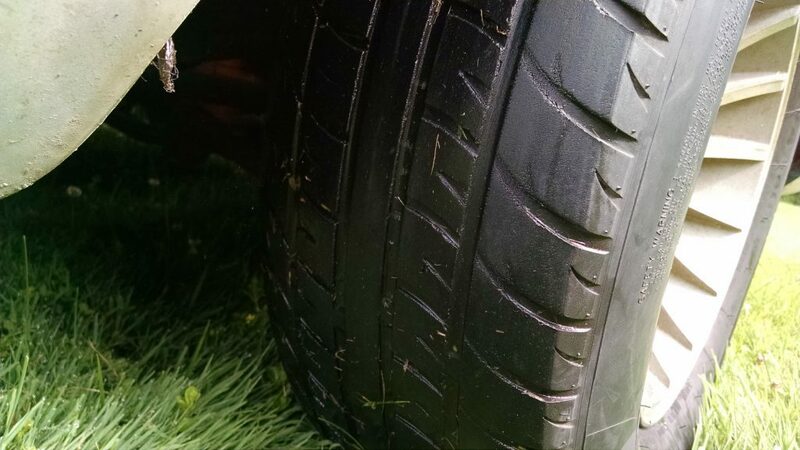 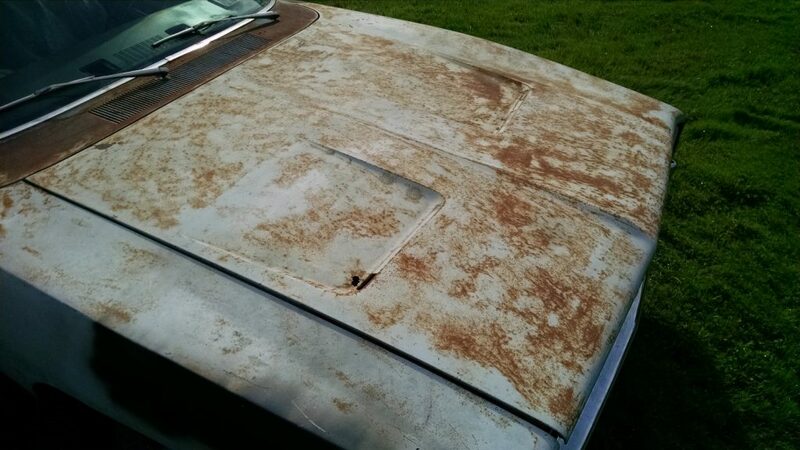 As you can see from the photos of the car, there is frame and body rust. 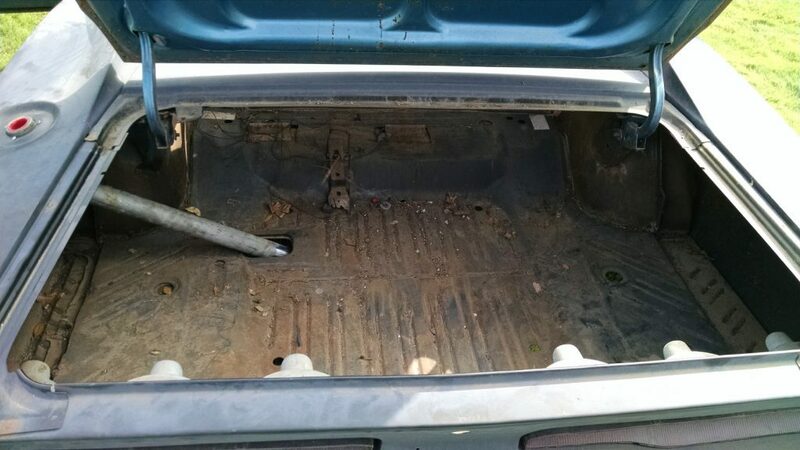 This car does lot drive, but will need to be transported to the buyers location. 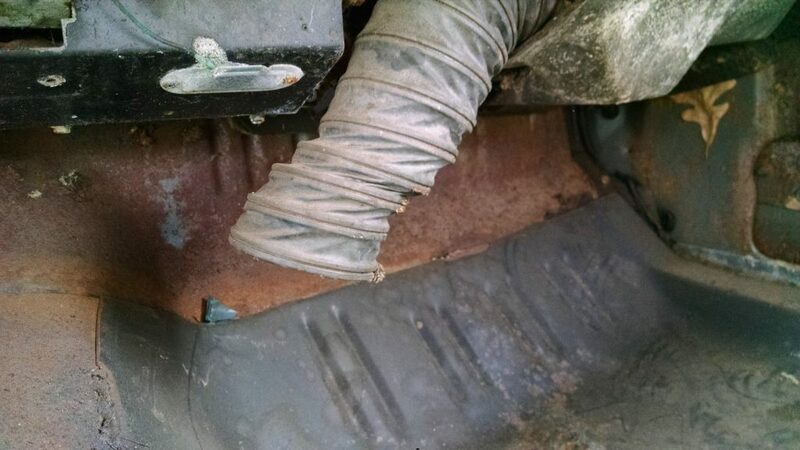 The VIN on this Charger is on the cowl and header panel. 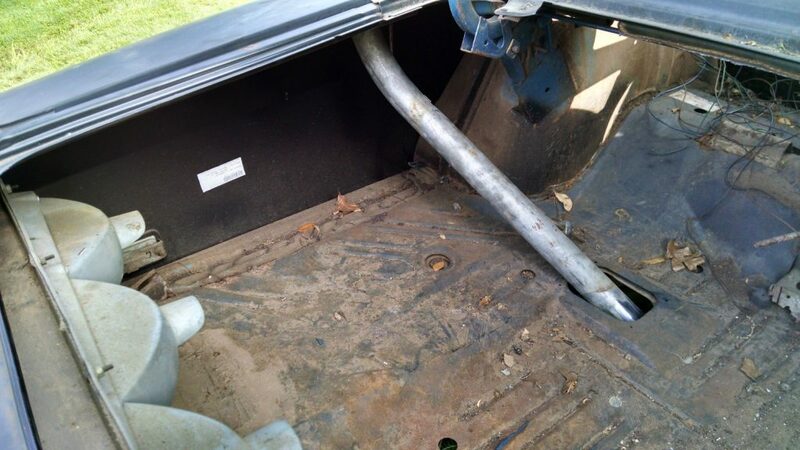 The fender mounted VIN plate, build sheet, and driver side quarter panel vin are no longer with the car. 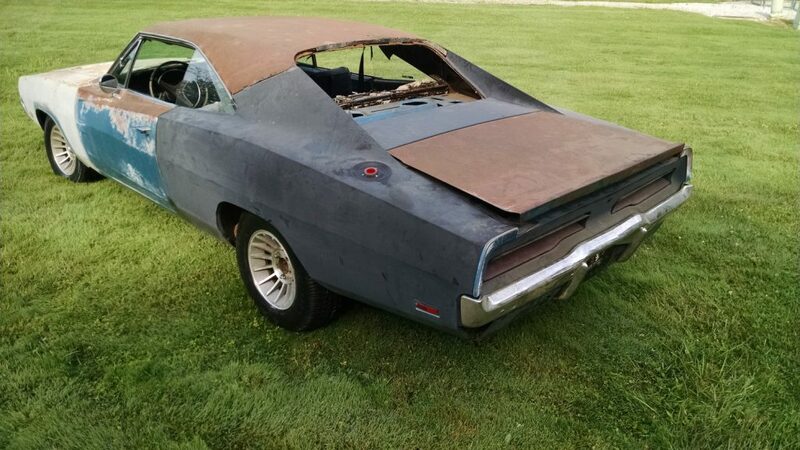 There is currently a 440ci engine and 4 speed manual trans in this Charger, which are not original to the vehicle. 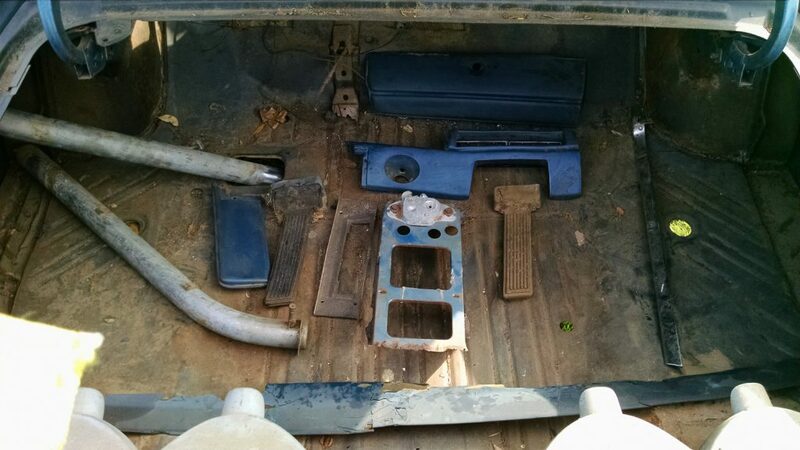 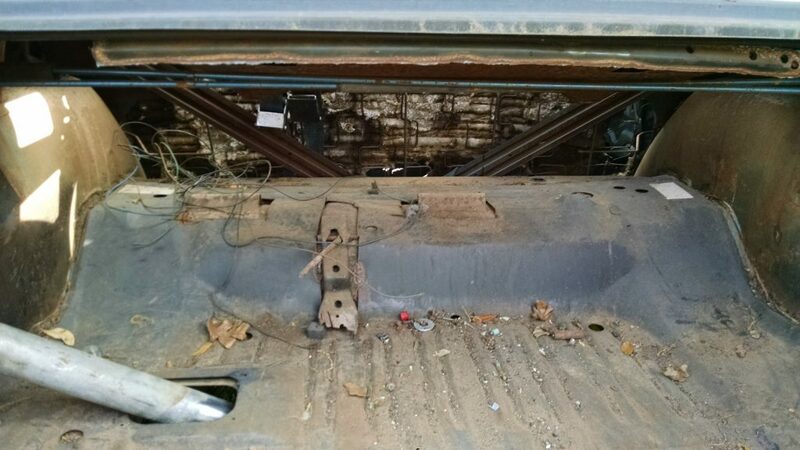 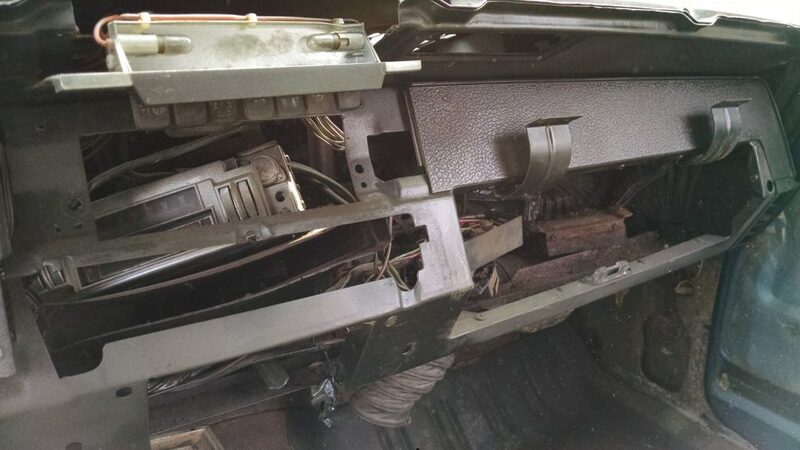 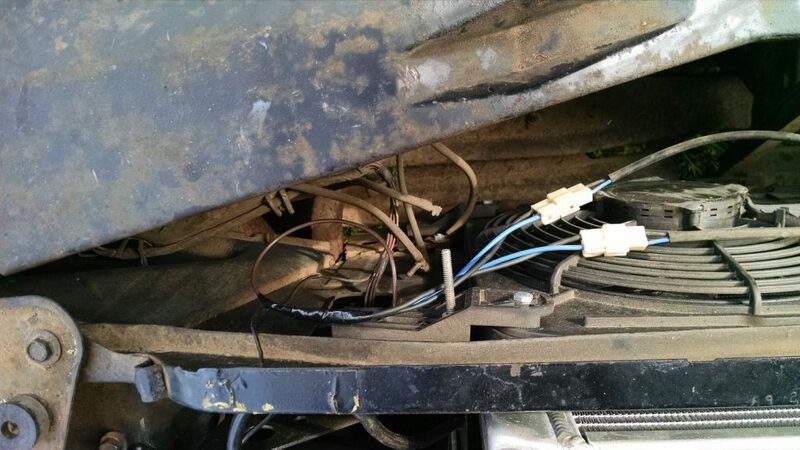 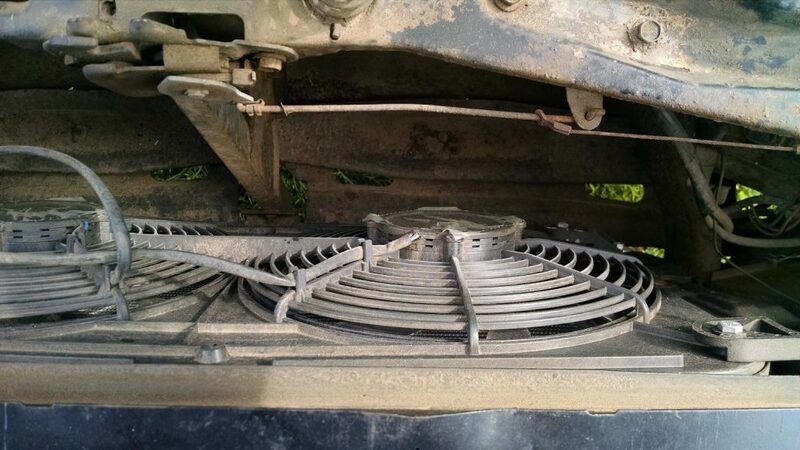 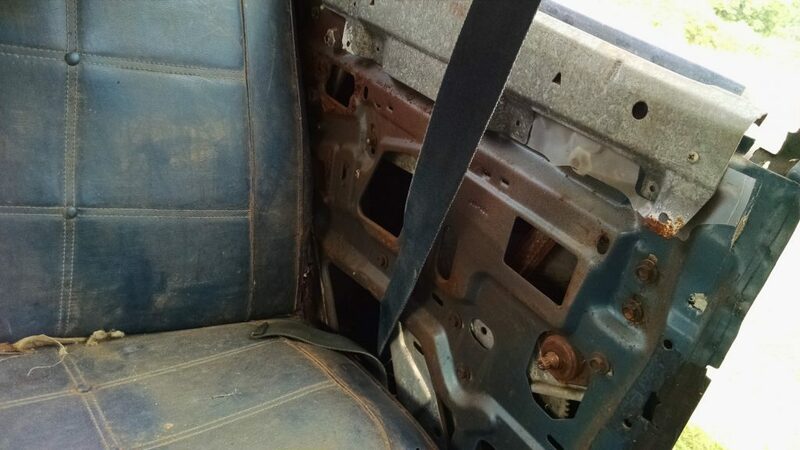 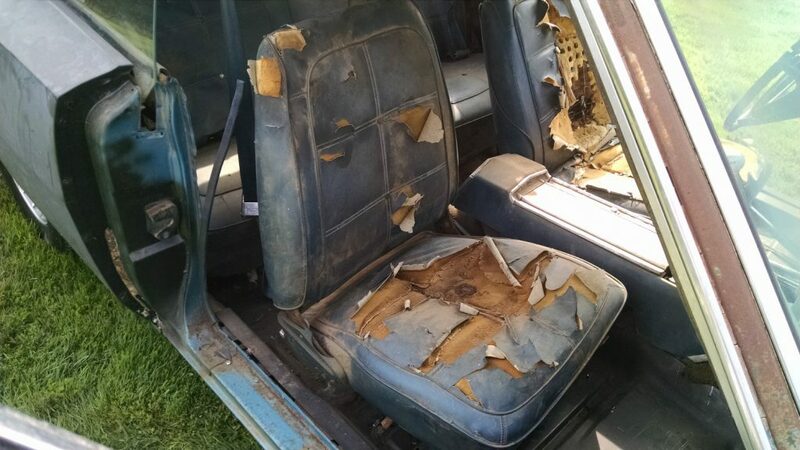 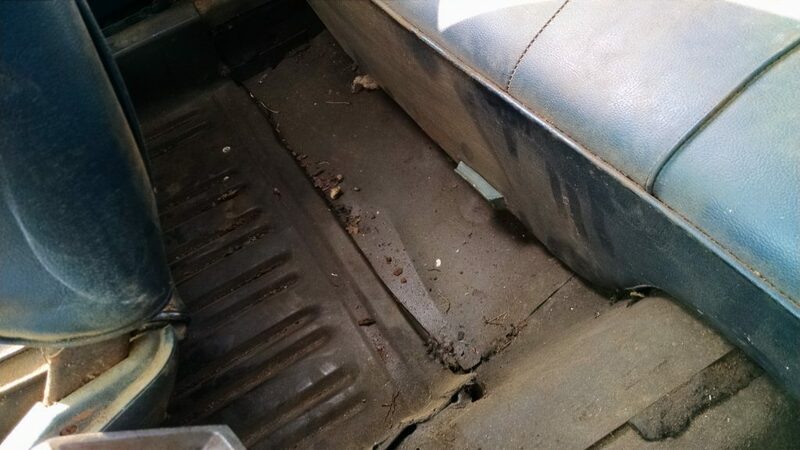 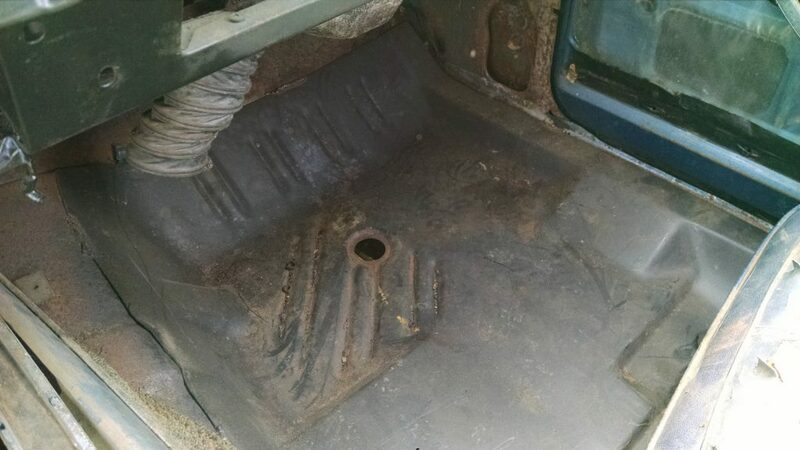 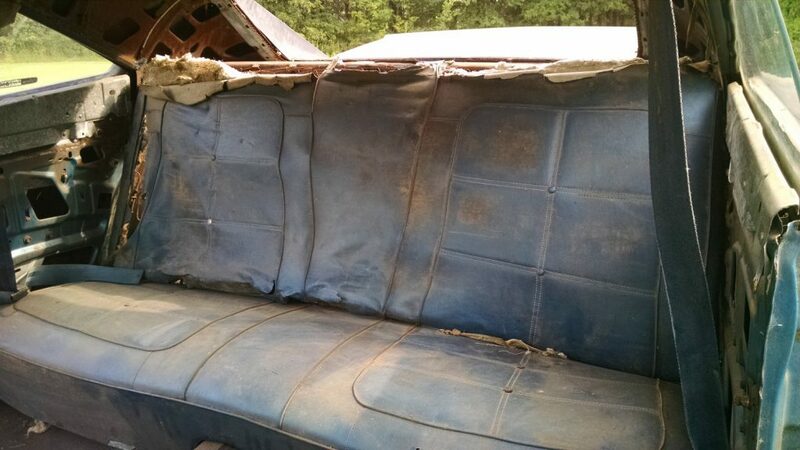 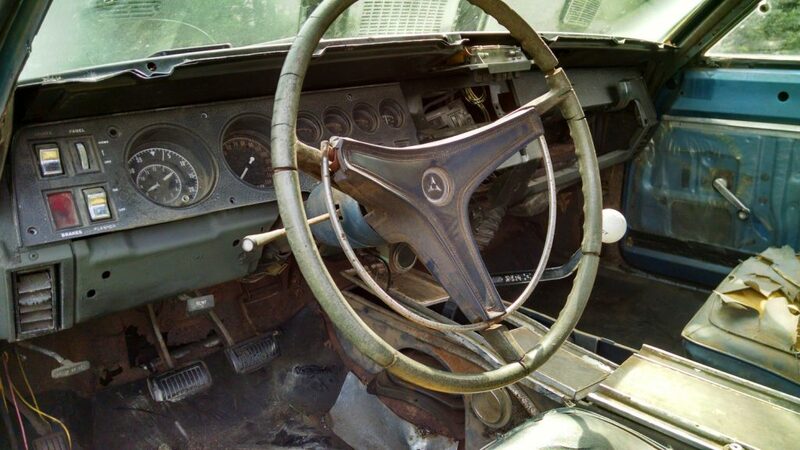 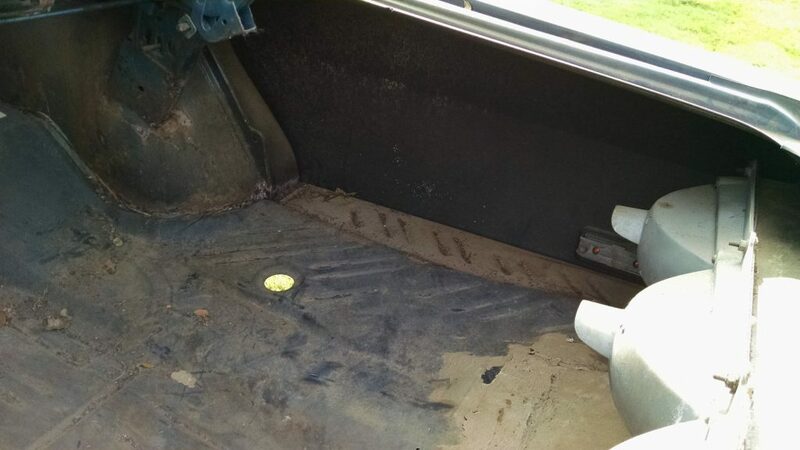 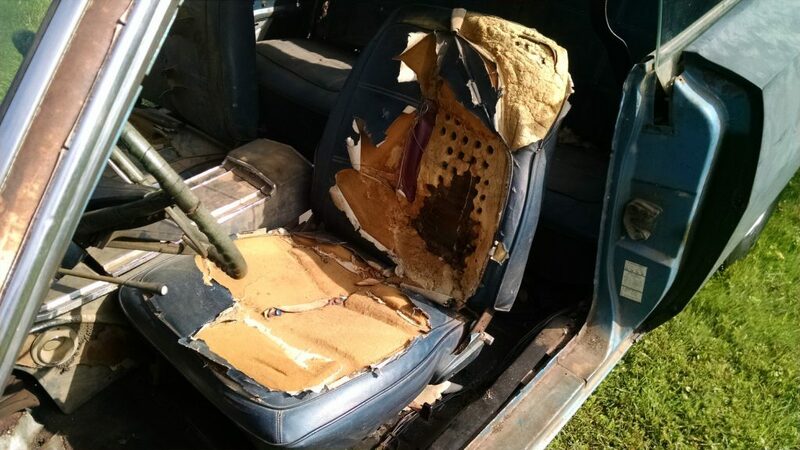 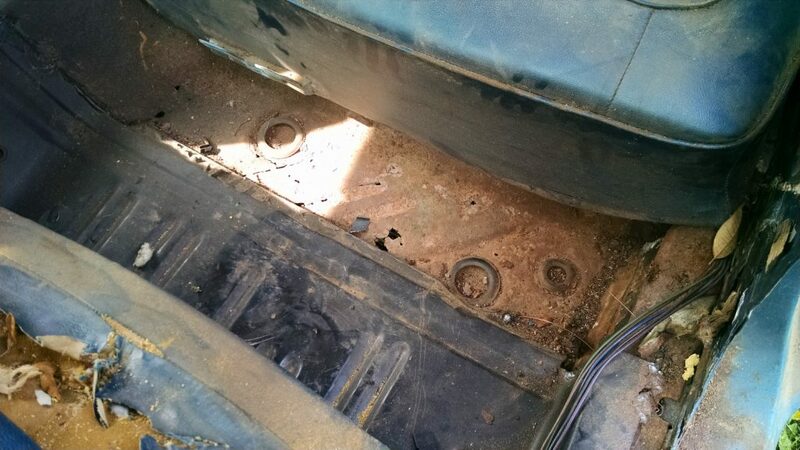 As you can see from the photos there are some interior components remaining in the vehicle, but the condition of the remaining parts is just as you see it in the pictures. 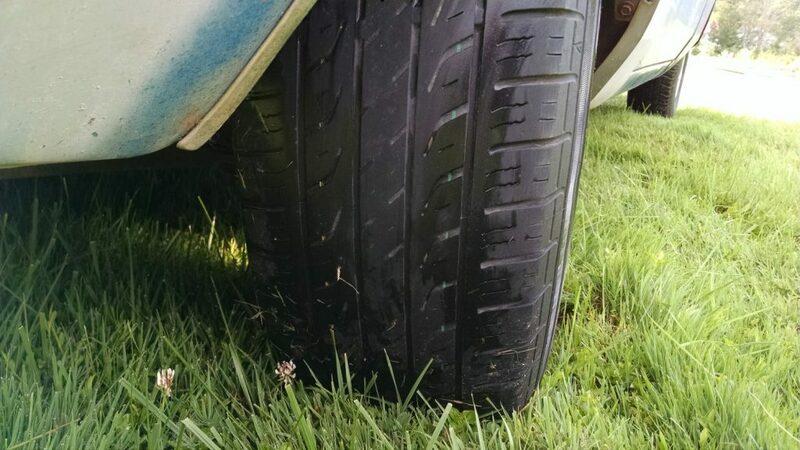 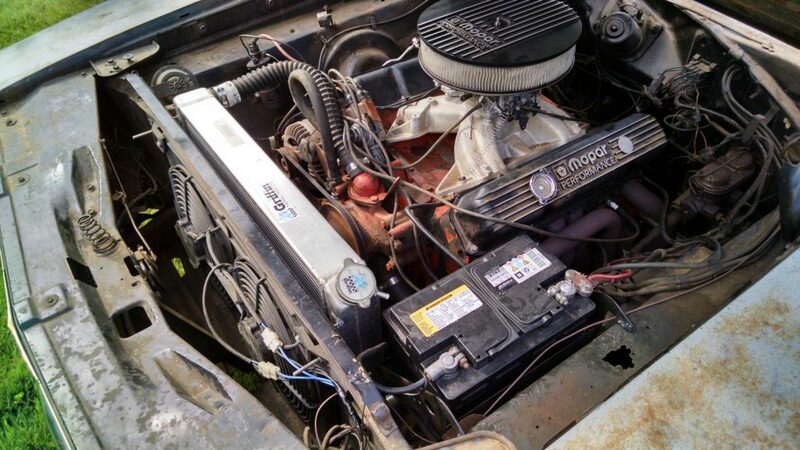 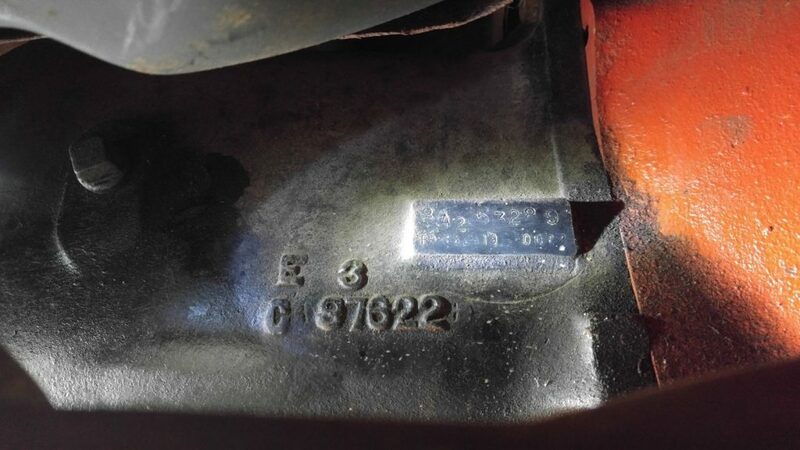 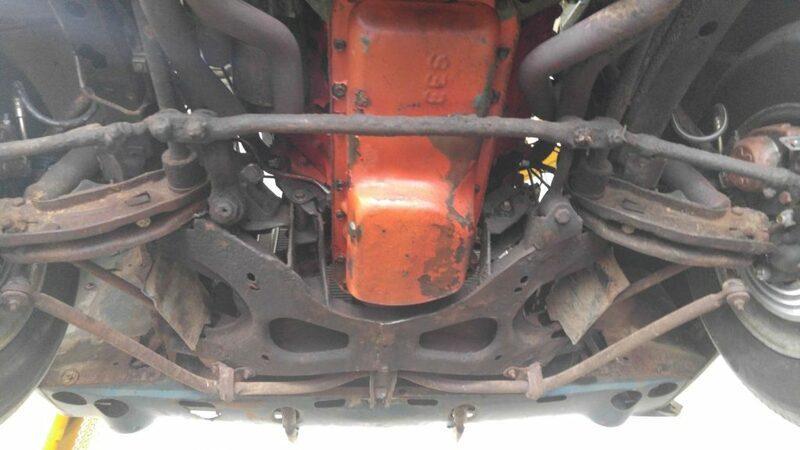 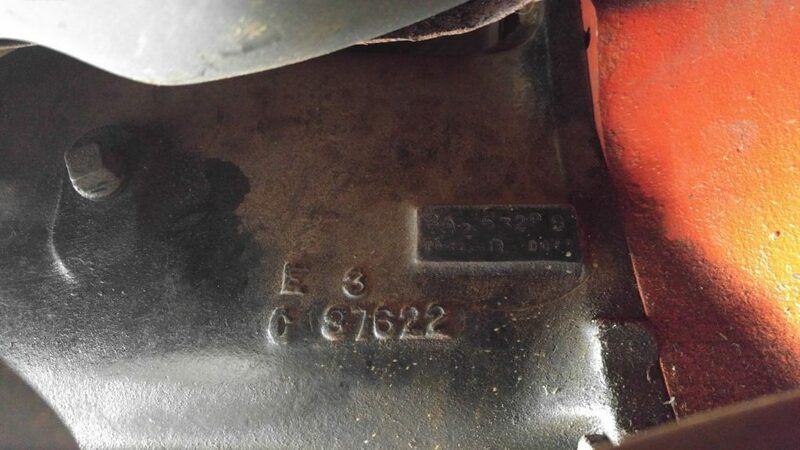 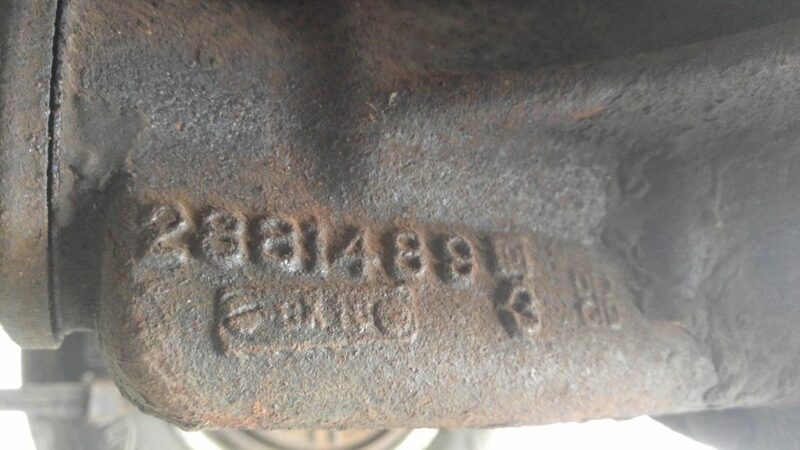 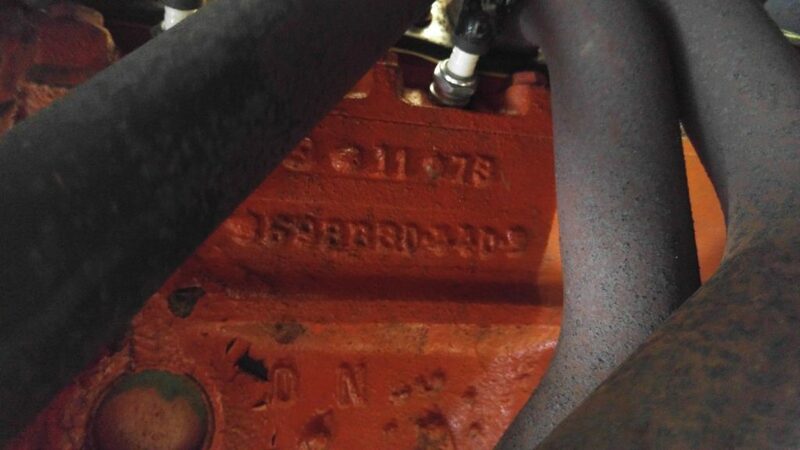 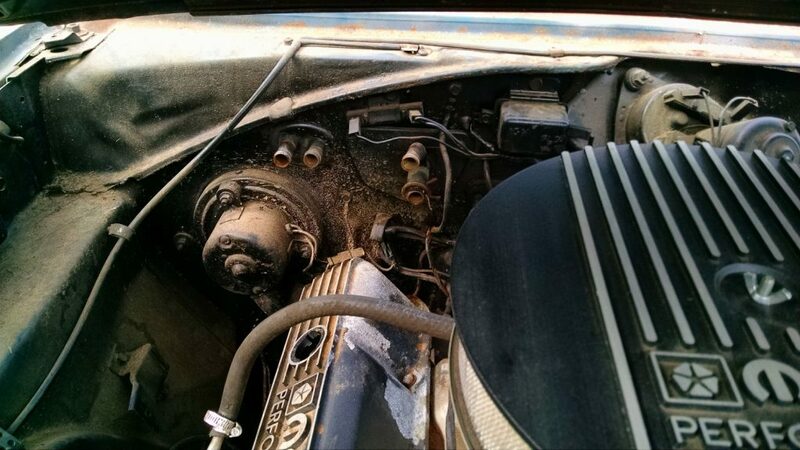 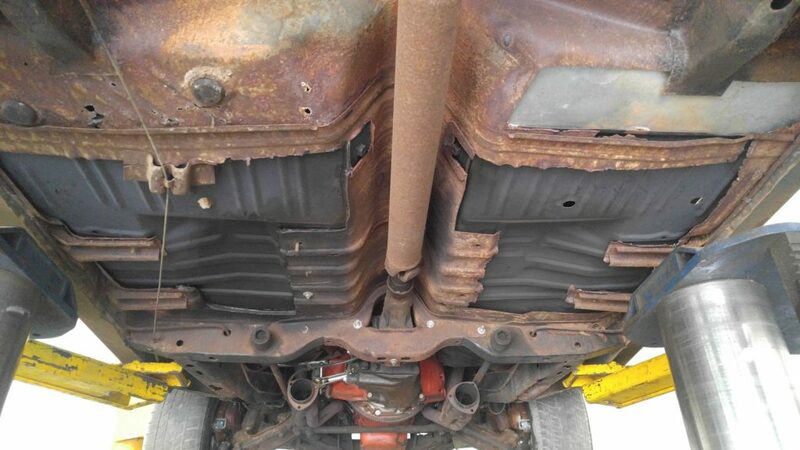 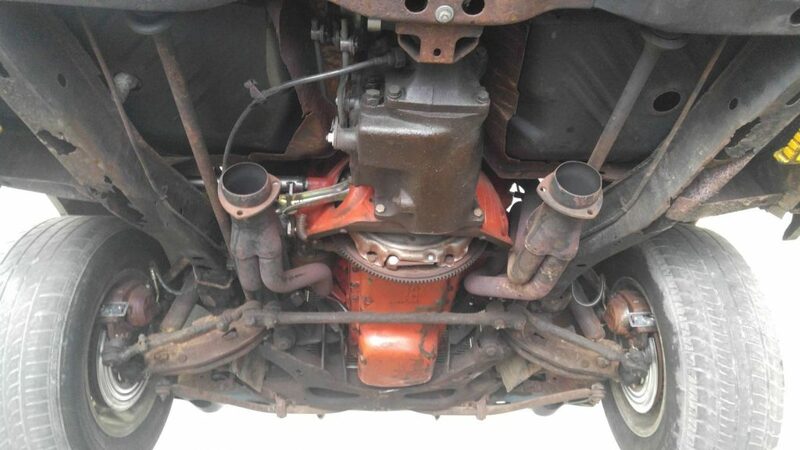 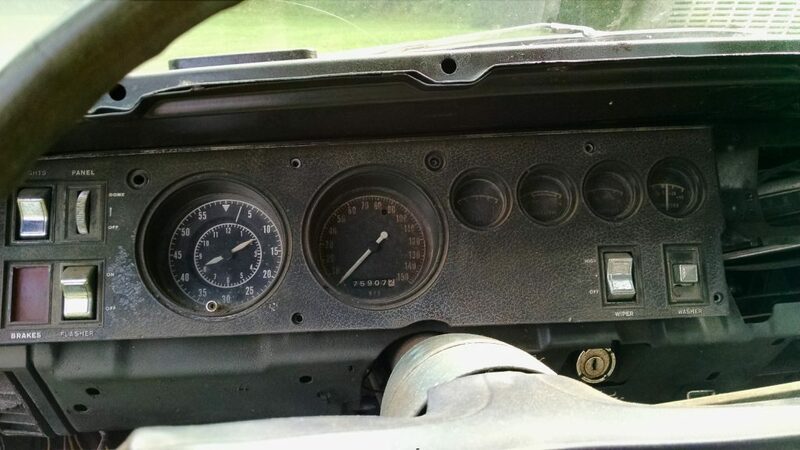 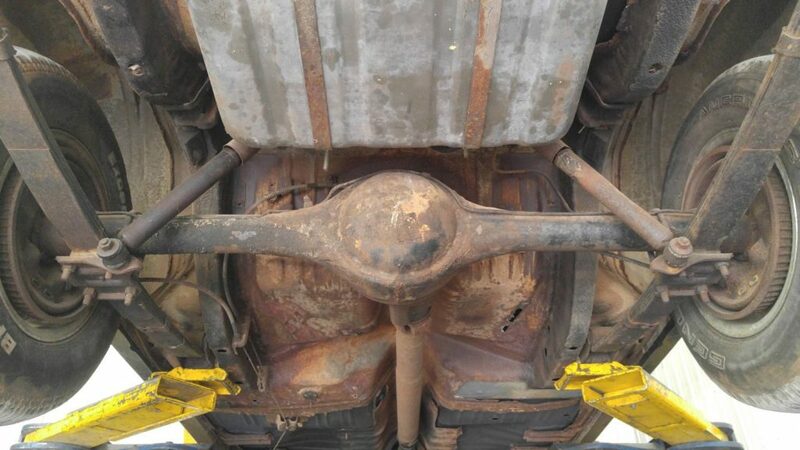 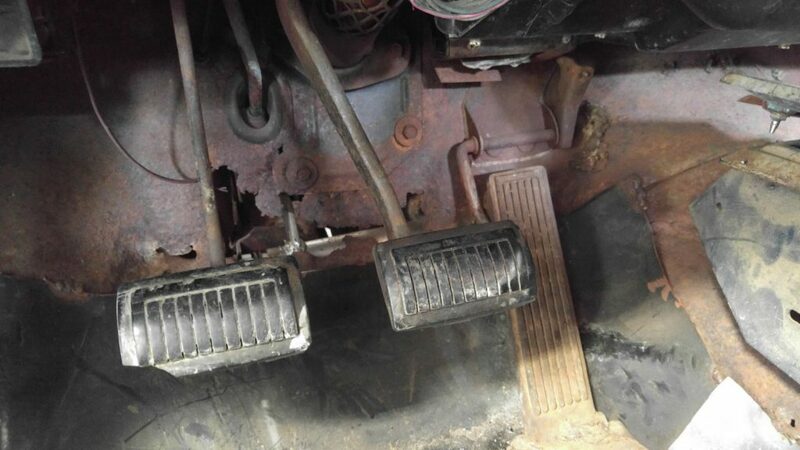 According to the stamping’s found on the engine, trans, and rear end this vehicle has a 1973 440 under the hood, A-833 manual trans with hurst shifter, and 8 3/4″ rear alxe with a 3.08 ratio. 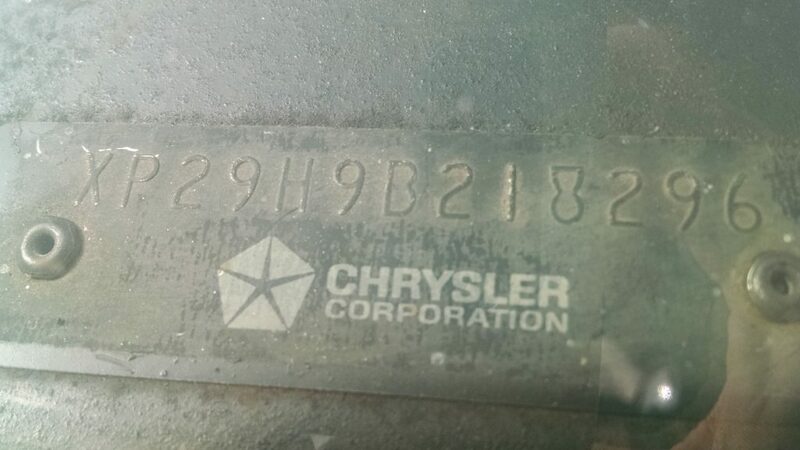 All of these numbers are pictured below. 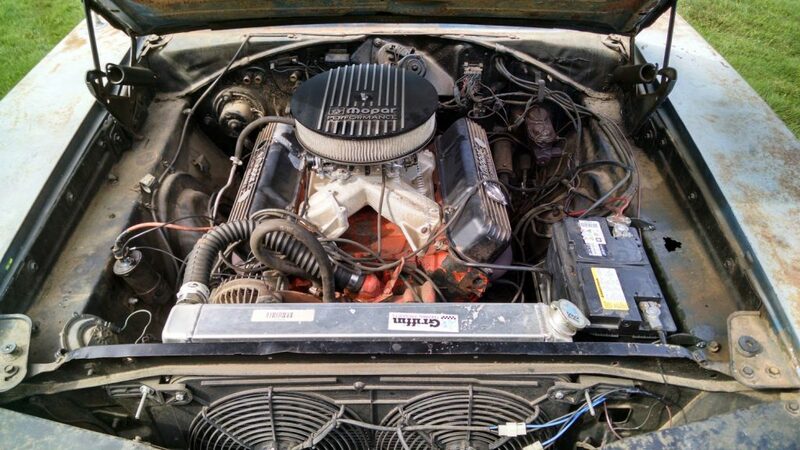 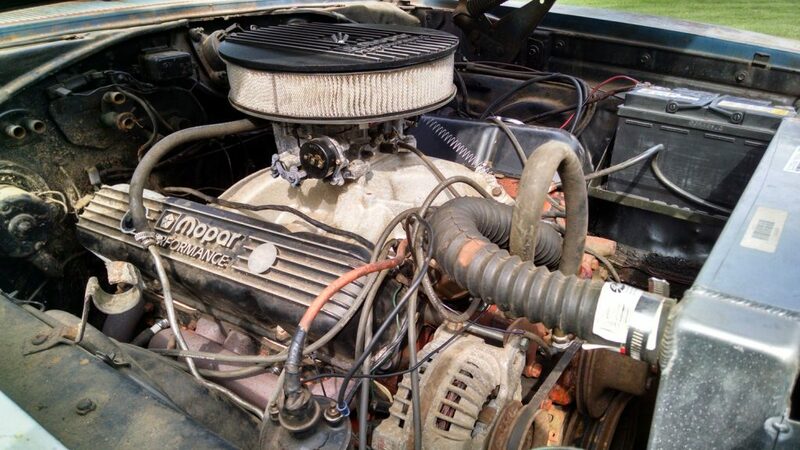 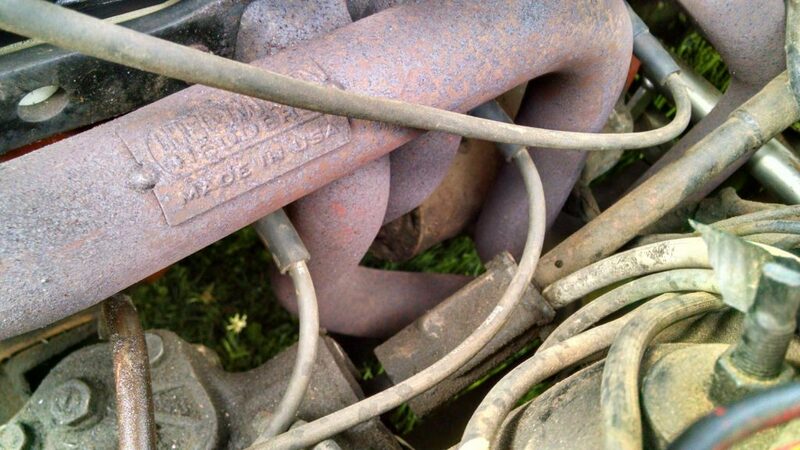 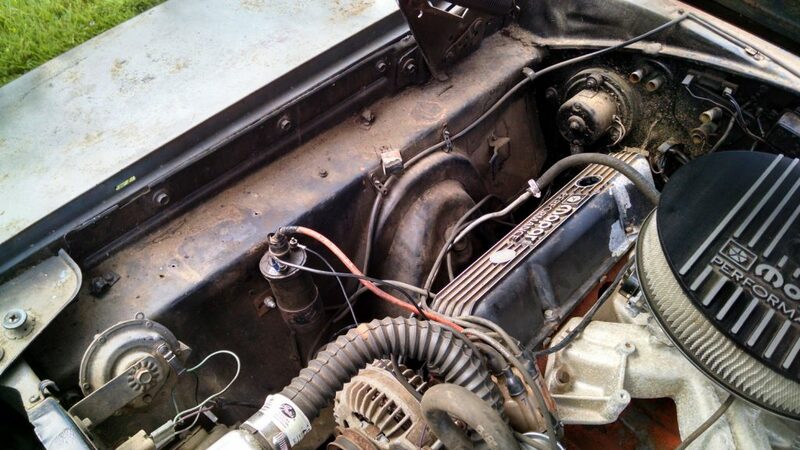 There is an Edelbrock intake, Edelbrock 800cfm carb, and Headman 1 3/4″ primary headers on the engine. 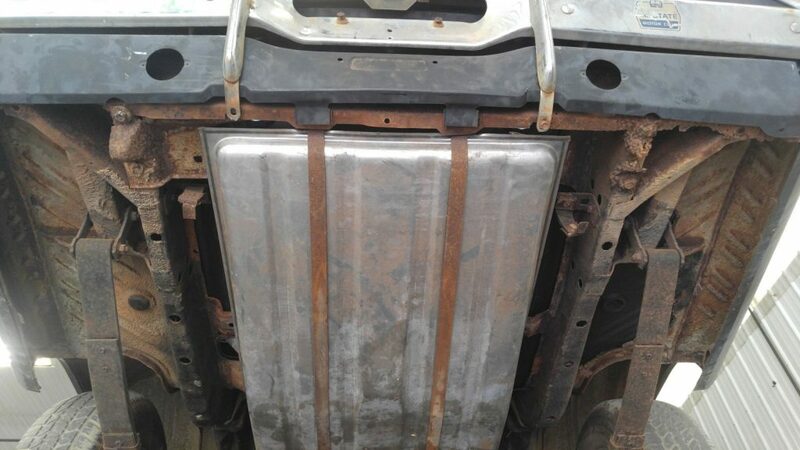 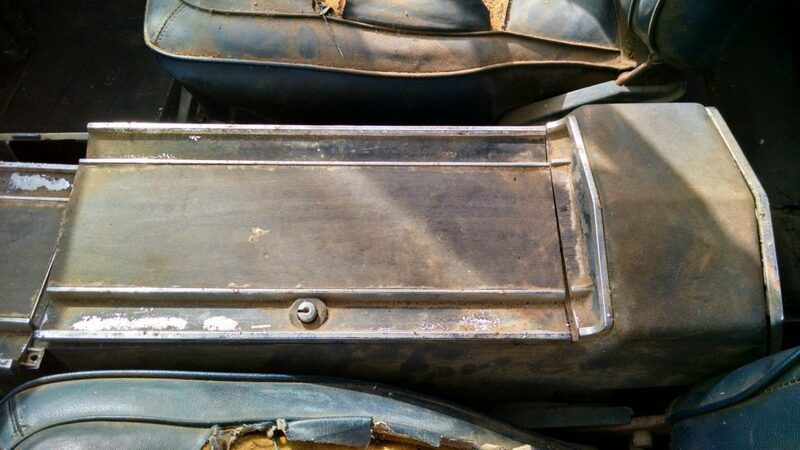 It has new aftermarket quarter panels, and new aftermarket floor pans. 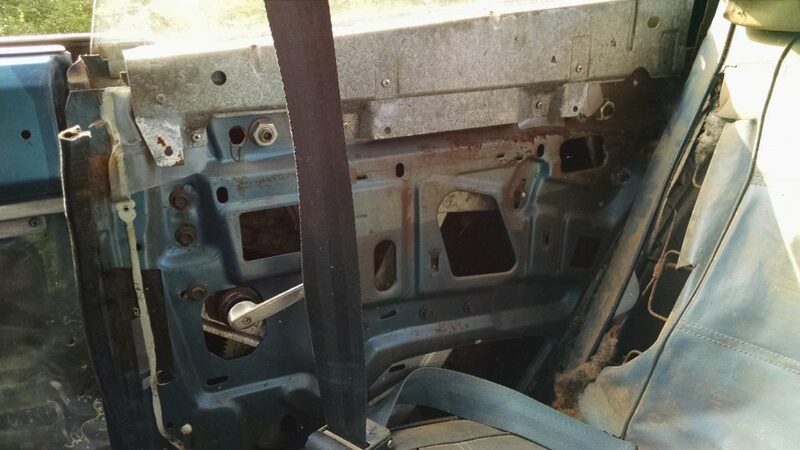 The work that was done on installing the aftermarket panels was so-so, not show quality. 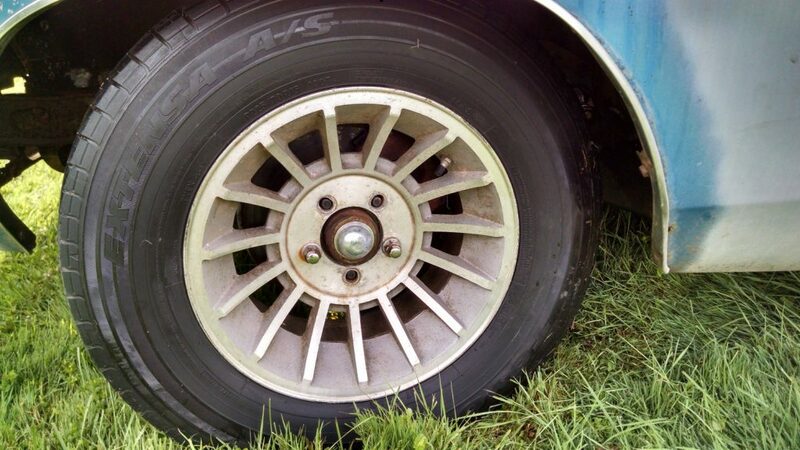 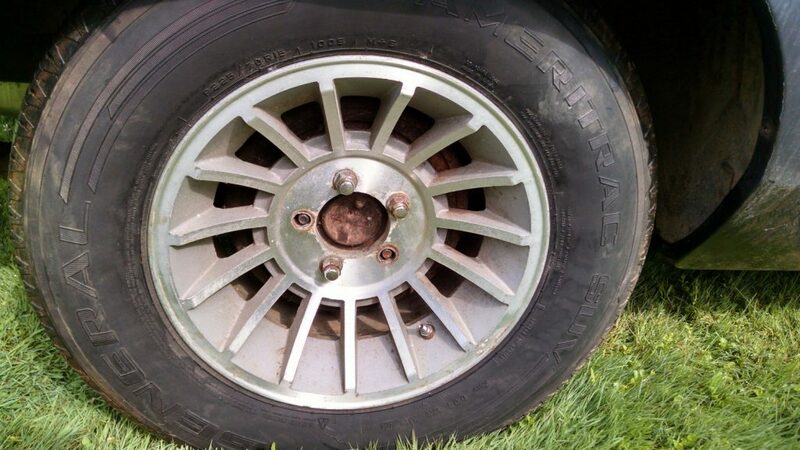 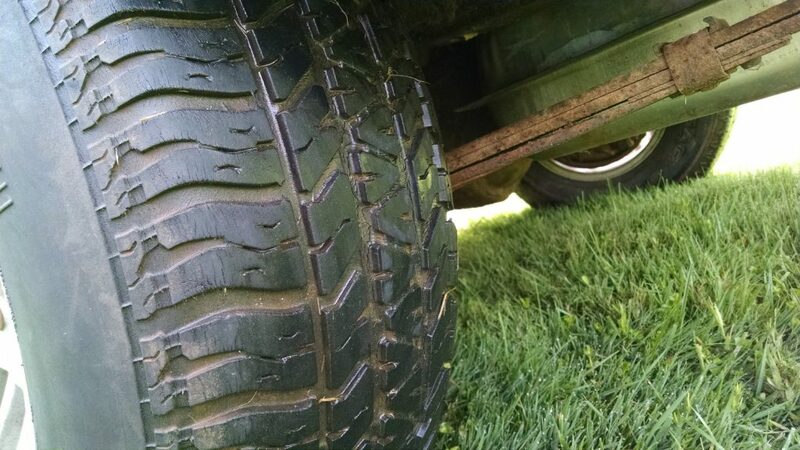 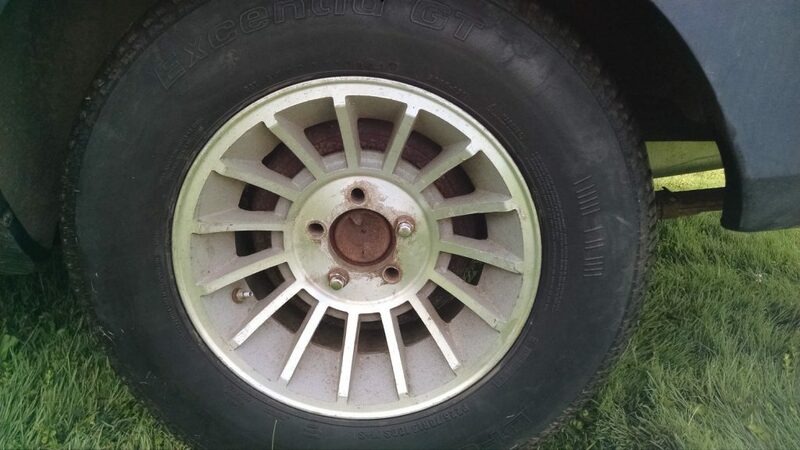 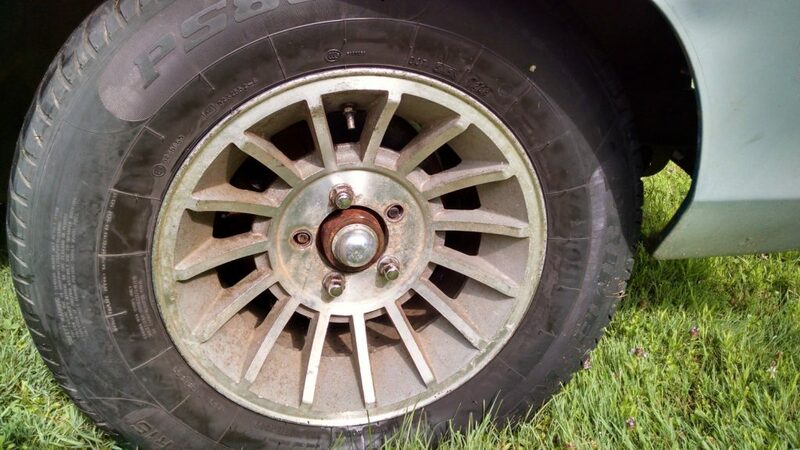 The wheels roll with the Charger, but some wheel studs are missing. 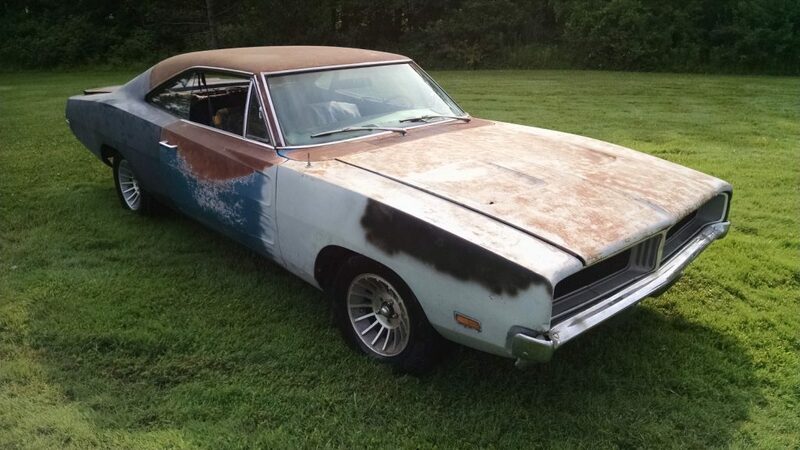 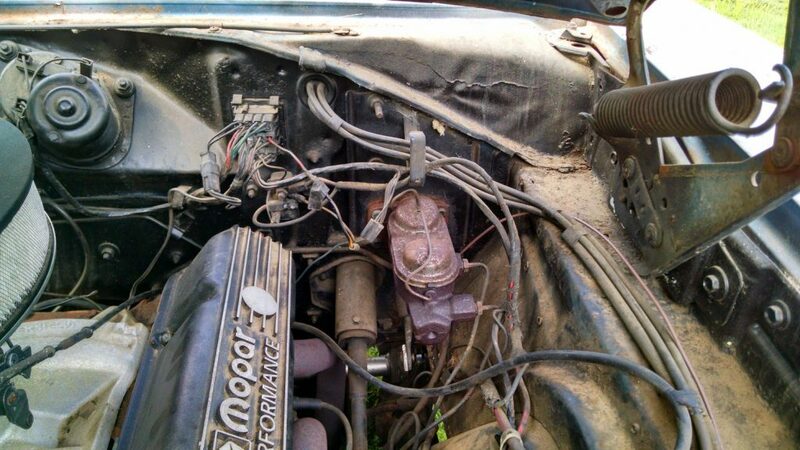 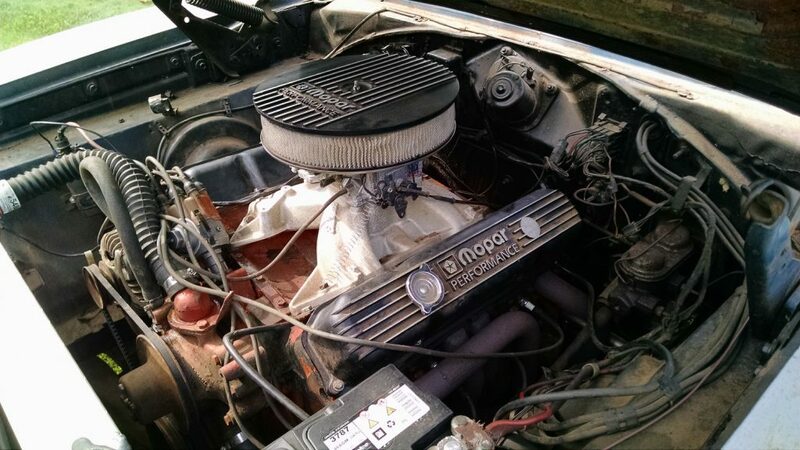 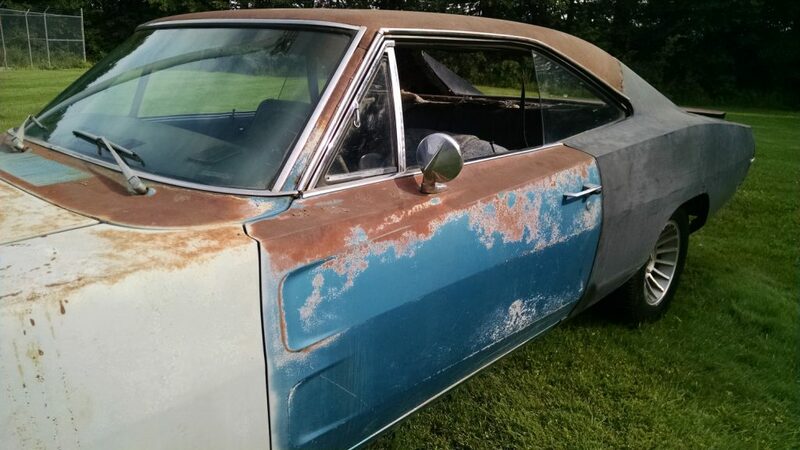 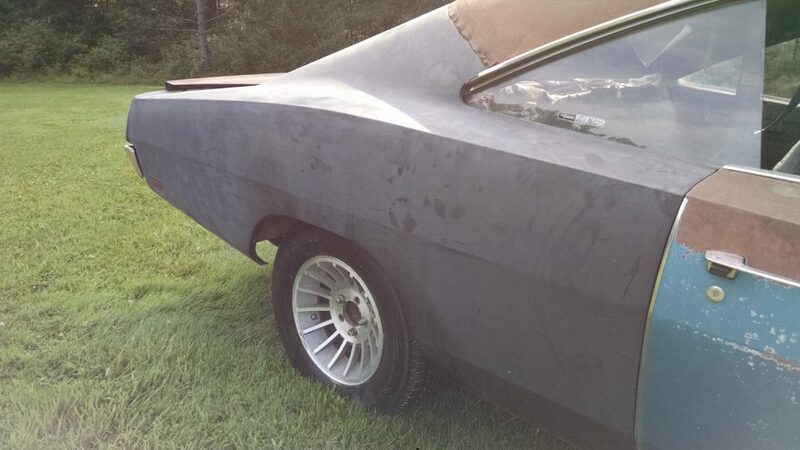 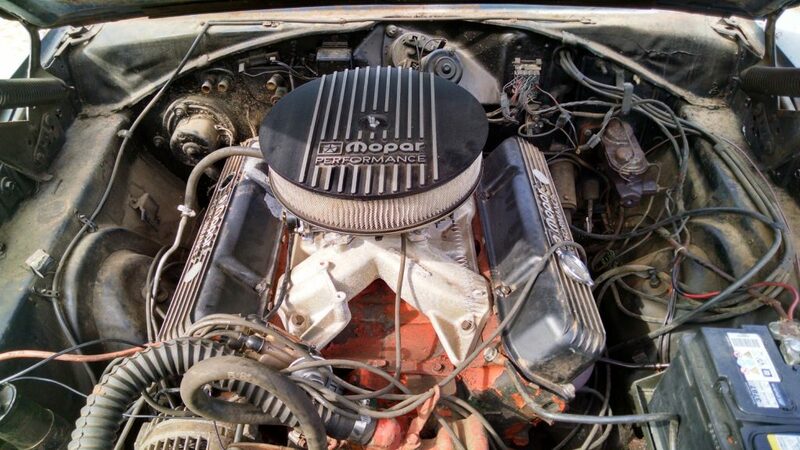 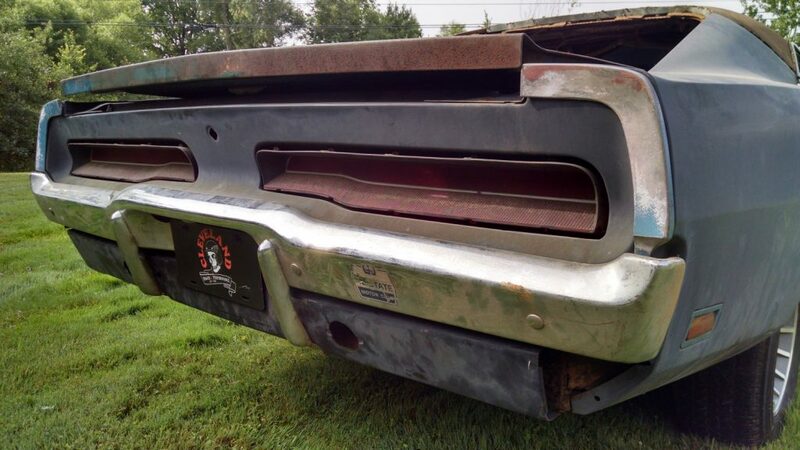 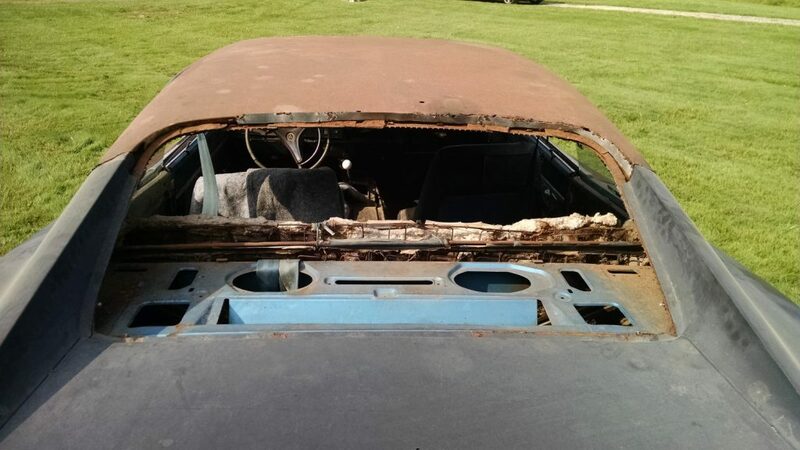 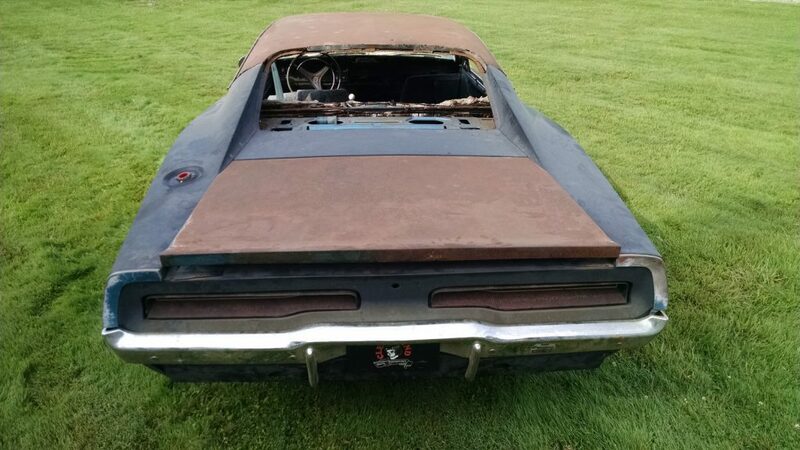 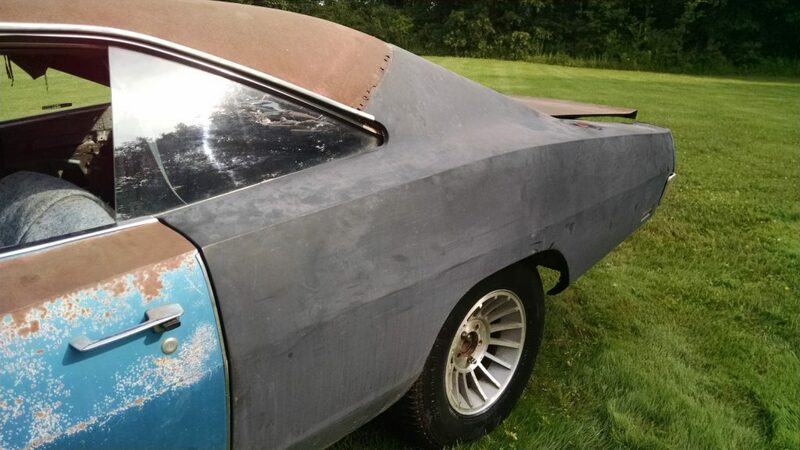 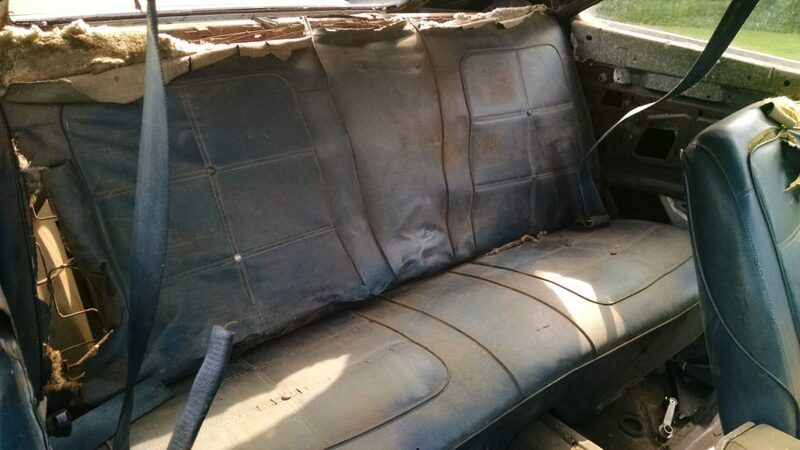 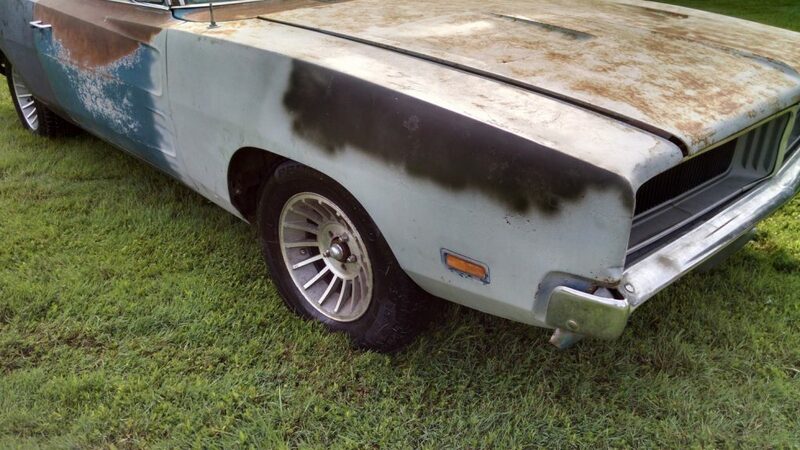 This hard to find 69 Charger is a project. 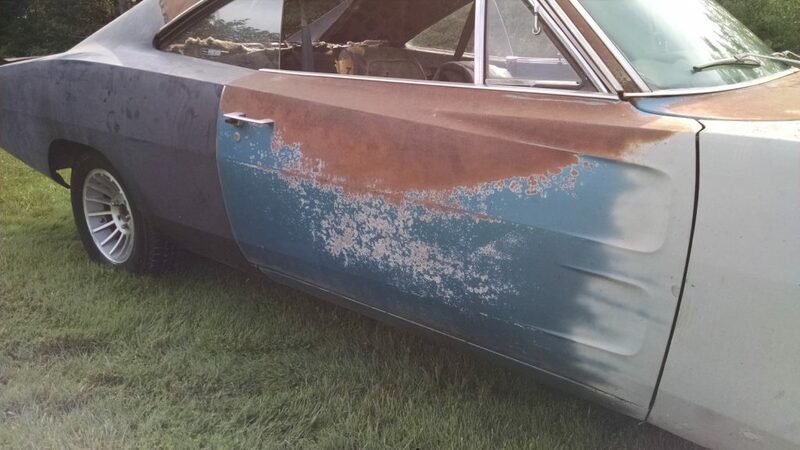 Restore or Resto-mod, either way it is a project. 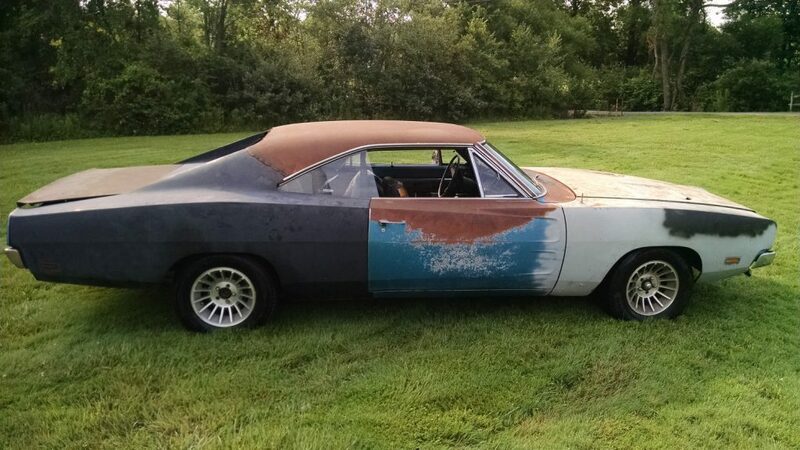 We are selling it as a restoration car. 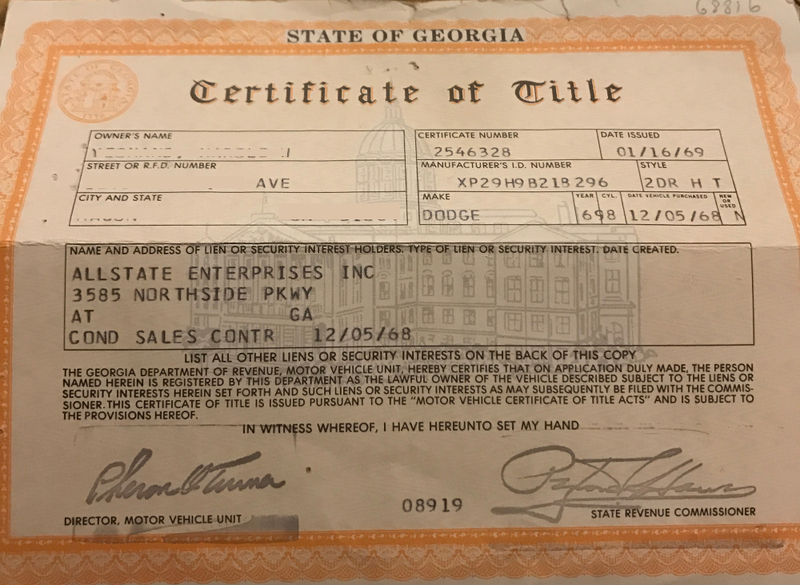 Here is a photo of this Chargers original title! 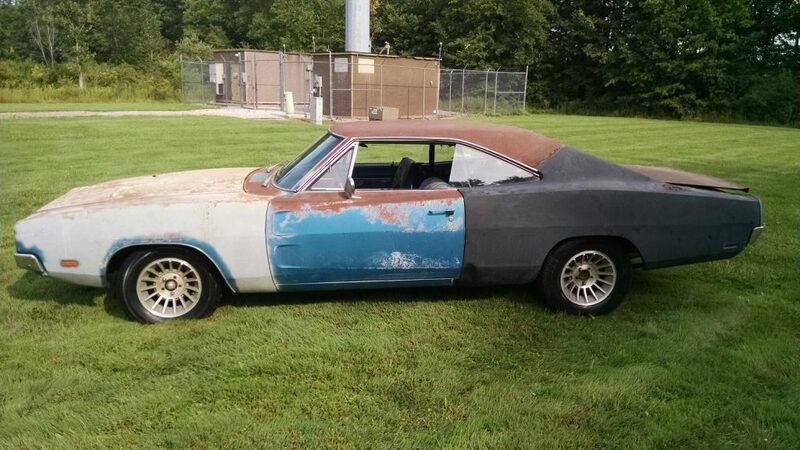 Please keep in mind that this car will be coming with an Ohio title. 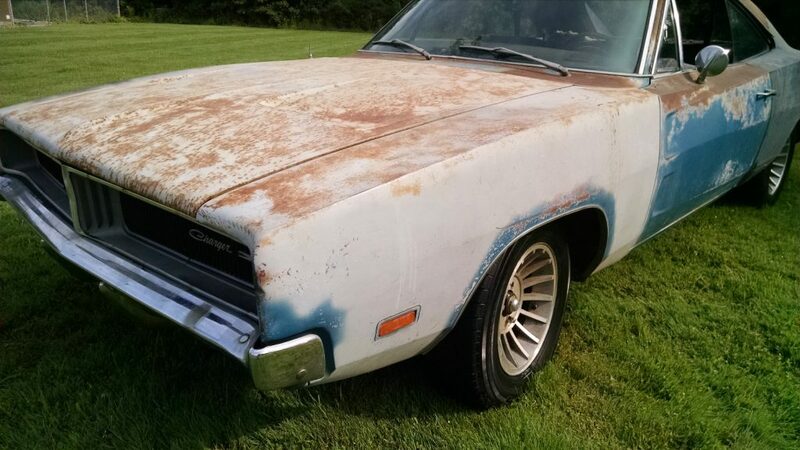 THIS CHARGER IS BEING SOLD WITH A CLEAN OHIO TITLE THAT READS AS ACTUAL MILEAGE.